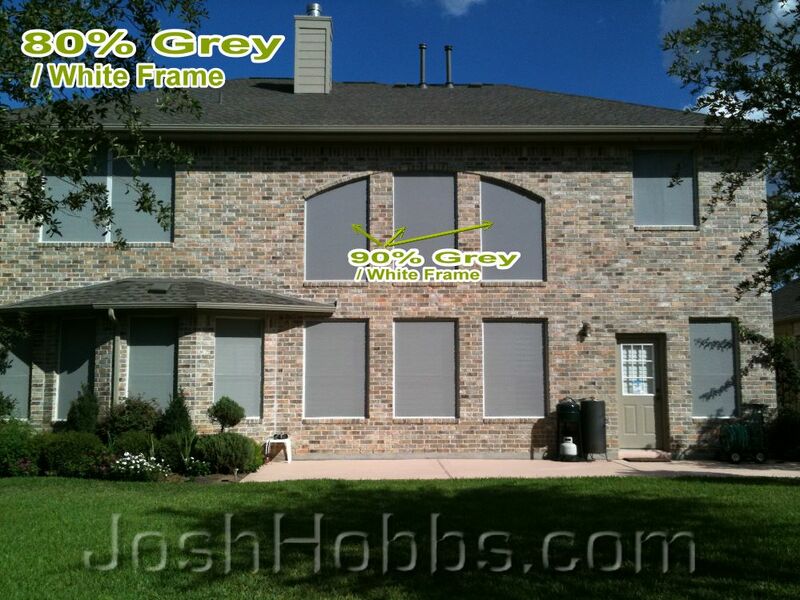 Solar window screens affix to the outside of home’s window. Solar window shade screens, the way they correctly install/mount, do not provide glass breakage protection for the glass. These guys often get confused with screens that do provide breakage protection for your glass. This home sits on a golf course. This customer wanted these heat shade window screens for them to provide shade, but he also wanted something to provide breakage protection of his glass from golf balls being hit from the golf course. Do not confuse the two. Now, if he were able to install the solar window screens about four inches off of the glass, then yes, I could see that they would provide quite a bit of protection for your glass. Now, these guys, these solar window screens, that’s not how they mount. Watch this solar screen installation video. They directly mount to the window frame, which places them within an inch off of the glass. If you live on a golf course, and you’re looking for a way to protect your glass, these are something you could use, but you would have to get creative with your mounting techniques. Like, for this home, we could have made these rascals so that they would screw to the brick of the outside of this brick exterior, not mount to the window frame. It’s not a installation technique that I do, but it’s something I guess you could do yourself. It would involve you having to drill pilot holes into all of the bricks mortar, so it would be an extensive installation process, but, nevertheless, it could be done. Give us a call if you have questions, our contact information can be found here, and if you want to see what our shade screen pricing is, you can look here. This entry was posted on August 15, 2014, 4:20 pm and is filed under Biz for Solar. You can follow any responses to this entry through RSS 2.0. You can leave a response, or trackback from your own site.